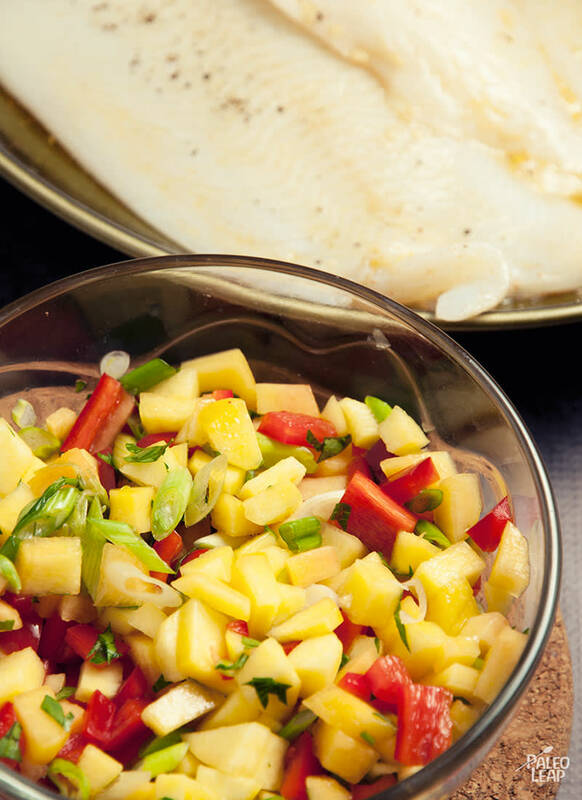 Warm weather might still be months away, but at least you can bring summer flavors to your table with a big pile of fruity-spicy salsa served over fresh halibut. The combination of peaches and hot pepper creates a delicious contrast, and the bell peppers add plenty of crunch to the mix; if you tend to get a little bored of mild-flavored fish, this is definitely one way to solve the problem. Like most fish, halibut is very nutritious: it’s full of B vitamins and important minerals (notably magnesium, selenium, and even a little bit of calcium!). And of course, it also has some Omega-3s, although the fish is so lean that the absolute amount of Omega-3s isn’t huge. You can cook the fish for this recipe in a skillet or on a grill, depending on the weather; it’s good either way. 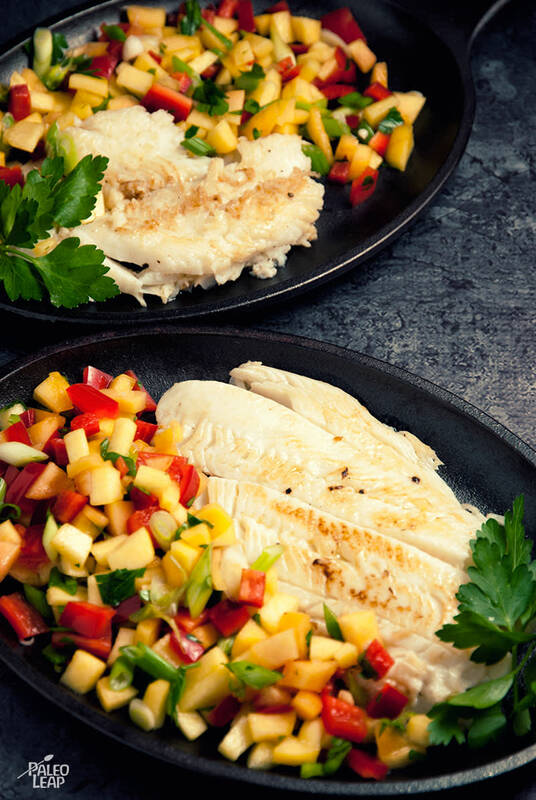 Serve it with a light salad or some easy zucchini (grilled or oven-roasted to match the fish), and you’ll be all set to enjoy a colorful and extremely nutritious meal. SERVES: 4 PREP: 25 min. COOK: 10 min. In a bowl, combine all the ingredients for the salsa, give everything a cool stir and refrigerate. Preheat a grill or skillet to a medium-high heat. In a large shallow dish, combine the lemon juice, paprika, garlic, and season to taste. Add the fish to the lemony mixture; turn to coat. Cover and let marinate for 15 minutes. Remove the fish from the marinade, and discard the remaining marinade. Cook the fish on the preheated grill or in a skillet with melted cooking fat, 3 to 4 minutes on each side. Serve each fish fillet with the peach salsa on top.